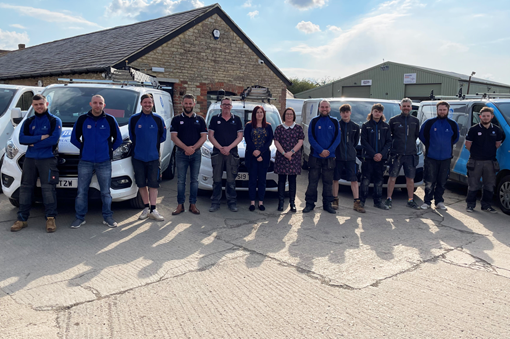 As a proud electrical company, working across Oxford, Bicester, Thame & surrounding areas, we're deeply passionate about delivering high quality work and unparalleled customer service. This commitment to excellence has enabled us to grow and establish ourselves as one of the areas leading electrical companies. job that we carry out. We invest in training apprentices and developing our staff's skills with ongoing training and personal development. Having worked with hundreds of local customers, building contractors, developers and local businesses, we have the experience and knowledge to ensure that we can get the job done, on time and to a high standard. All of our staff are vetted and we carry out ongoing staff drug testing to ensure they meet the highest possible working requirements. 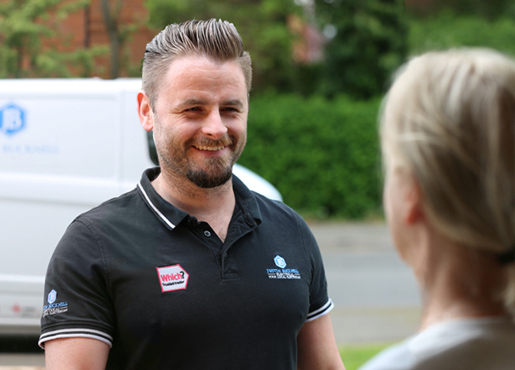 We're registered as Which Trusted Traders, which means that our work has been recognised for its quality, meeting the high standards set out in the BS7671 Industry Regulations. We're also registered to self-certify all of our work under the Part P Regulations. Well equipped vehicles so we can get the job done. All materials and equipment are ordered in advance so that our electricians have all the tools, kit and materials they need when they arrive. This means that they can work efficiently and get the job done. ... See what our customers have to say about our electrical work. "I have now used Justin for a number of projects around my house and office. The work is always of the highest standard at a very reasonable cost. 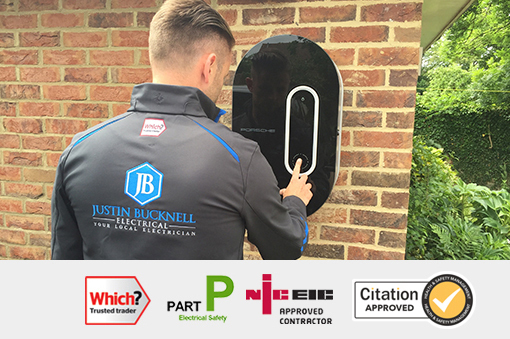 I would highly recommend him for any electrical work in and around the Buckingham area." "Helpful! Was able to give a quote in person the same day. Fast, professional and knowledgeable. Would recommend him to anyone." "Sorted out my problem quickly, even though it was a Sunday afternoon. You can't ask for more when you have no electricity!" 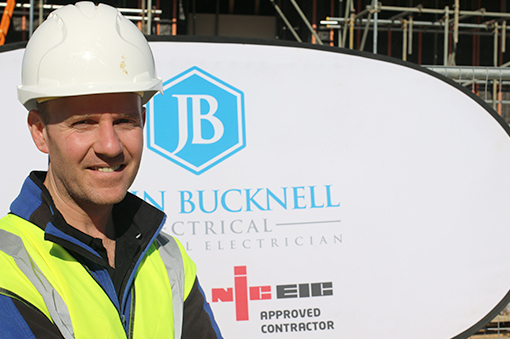 "I have had a few electricians and electrical companies over the last 15 years and it has taken until now to find a company who takes such pride in his work as Justin does. 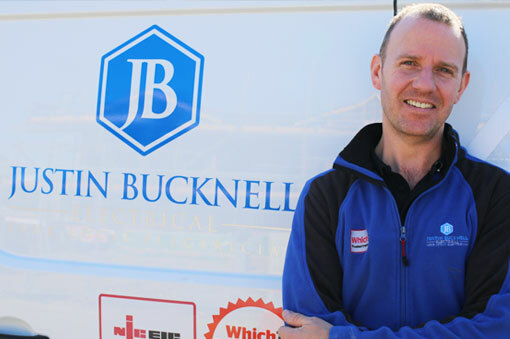 I found Justin Bucknell Electrical and asked for a quote to carry out lighting updates to LED and extra LED fitments. I received the quote within the time given and he carried out the work 3 weeks later. Justin and his colleague arrived on time and before starting the work he run through the whole process and what to expect over the visit. They took great care of my property and provided dust sheets and hard floor protective sheets and even wore shoe covers to go upstairs.! I just found the whole experience very refreshing for a tradesman and Justin has such a high standard. The best tradesman I have met to date." "My husband and I hired Justin to install energy efficient LED lighting for our home and tested our rental property for us. We were not only surprised with his level of professionalism, but he actually saved us money on our electric bill. Furthermore, Justin kept our home looking neat and tidy at all times. I would happily recommend him for any job! Thanks Justin!" "Able to make a quote that day in person and arrange a day for work to start. Great communication! Arrived on time and finished work to a great standard! Will be using him again for all of our electrical jobs! " including Thame, Bicester and surrounding areas.